After Mattie Diener's husband died a little under 2 years ago, Mattie is unable to move on and find love again. The young widow is the mother of two young children in a tight Amish community. Mattie crosses path with an outsider when her son becomes mysteriously ill. Bo Lambright works in the child social services who has a secret past. Bo crosses path with Mattie when her children become hospitalized. Is he able to put his differences aside and do whats best for Mattie and her children? Is Mattie to blame for her son's illness? Will Bo and Mattie be able to find love? The heartwarming story shows what people are willing to do to protect their children and loved ones. It also shows how our parents have an impact on our lives whether we like it or not. And how love heals even our darkest scars. The book was very interesting read and kept me entertained until the end. However, the author mixed in Amish Dutch English, while it was a cute novelty, it got annoying after a bit to constantly turning the page to utilize the dictionary. 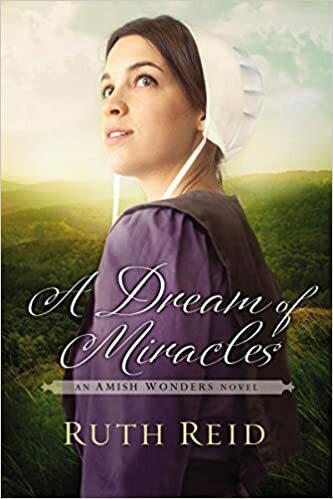 A good read for anyone interested in stories with Amish themes.